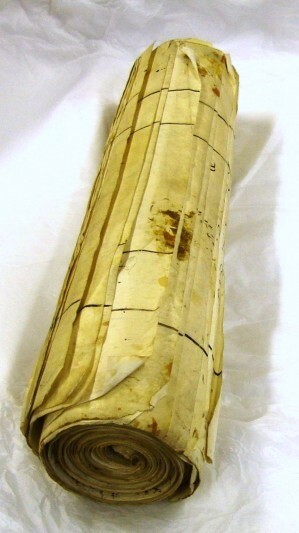 These 16th century Tudor documents, relating to the building of the fortifications, include the Berwick Roll, 1558 – 1560, which was compiled by Sir William Ingleby when he was Treasurer of Berwick in the early years of the reign of Queen Elizabeth I. The roll gives a fascinating insight into Berwick’s importance to the safety and security of England at the time. The account notes particulars of transporting treasure to Berwick, refers to compensation paid to individuals (named) for the demolition of properties to enlarge the fortifications and lists money paid to spies in the “service of the Quenes maiestie”. The roll catalogues payments of over £257,000, a huge amount of money at the time which would be the equivalent of almost 44 million pounds today. The documents are extremely important because they deal with the period of the town’s history when the old fortifications were being repaired and the new Elizabethan ones being constructed. They complement the archives which were already held and have greatly increased our knowledge of the town at that time. In late 2012, the Friends and Berwick Record Office purchased the photographic collection of the Photocentre. This was a family run photographic business which operated from 1950 until 2012. The collection consists of glass plates (black & white) and negatives (black & white and colour) and provides a wonderful pictorial record of events in North Northumberland and the Scottish borders in that period. It includes local events and festivals as well as numerous weddings and pictures of babies. Work is ongoing in the Record Office to make this collection accessible. We are slowly digitising the negatives and glass plates and are inputting the handwritten indexes in the collection into a database. A lot of this work is being undertaken by volunteers. The computer index to the collection is very useful and can be viewed on this website. It can be searched by person, place or subject and will be updated regularly. berwickarchives AT woodhorn.org.uk (Please replace AT with @ ). Click here for a link to the current Index to the Photocentre Collection on the Catalogues page (in PDF format). To search the index, use the FIND option (Ctrl-F) in Adobe Reader and enter a keyword or phrase. This will highlight each occurrence of the term in the index.